Commercials luring you to buy a fancy shampoo that will solve all your hair problems seem like the way to go. After all, there’s so much promise: shiny, voluminous hair that won’t fall out no more. On practice, unfortunately, a shampoo that will help your significant shedding is inexistent. And no matter how often or how many organic DIY masks you rub into that beautiful hair of yours, there’s a chance that nothing will work. It’s not surprising. Most hair-related problems come from within and need to be addressed accordingly. Find out why both men and women lose hair and what can be done about it. 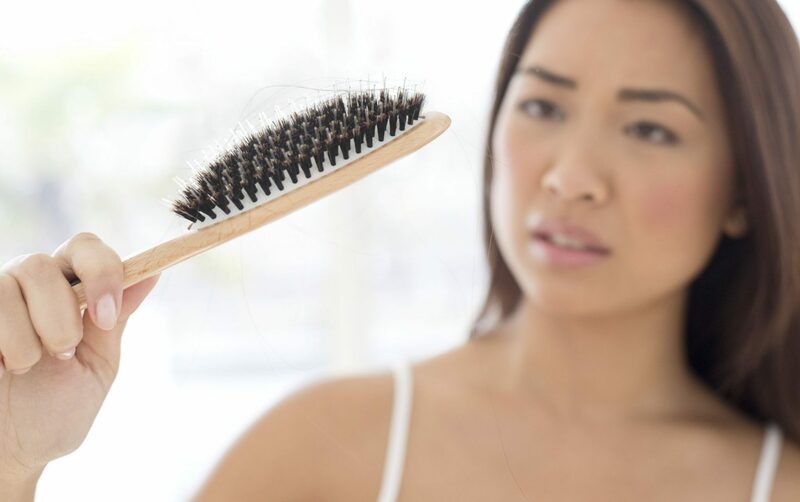 Losing up to 100 strands of hair a day is perfectly normal. And on the hair-wash day you can lose up to 200-250 strands. It sounds like too much, but it’s really nothing to be alarmed about. So, how to know when hair loss becomes an issue? To know whether you hair loss is within normal limits, you don’t need to count your every hair. You know it’s a problem when there is a noticeable hair thinning or even balding. But before it comes to that it is certainly a red flag when you pull several strands every time you run fingers through your hair. Also, pay closer attention to the amount of hair left on your comb or pillow. If you spot the unusually large amounts, you will need to dig deeper. Every day a flourishing pharmaceutical industry is offering full spectrum vitamins for hair loss. Before you rush to stock up on vitamins it’s important to exclude other suspects, since hair loss might be just a signaling symptom of bigger issues. And if you do have a vitamin deficiency, your blood work will be more indicative of what vitamins—and their dosage—you’re missing. So, first, try to get to the root cause of your hair loss problem. Sudden hair loss both in women and men leaves us wondering what went wrong. Is it our diet, that stressful week at work or maybe it’s in our genes? Yes, yes and again—yes. All of the above can cause hair damage. But not just that. As I've said earlier, hair loss can only be a symptom of an ailment or a disorder. Once it’s targeted and treated your hair grows back to normal without any magic shampoos and hair-rubbing masks. So you may want consult with your dermatologist, too. Stress is famous for triggering serious health problems. Prominent hair loss can also be related to it. Physical or emotional stressors can temporary disrupt the natural follicle growth. However, if the stress becomes a chronic presence, your hair problems will get only worse. A new diet can be stressful for your body, too. If you suddenly change its familiar fuel, it will need time to catch up. It can take from 3 to 6 months before the hair cycle corrects itself. In order to avoid excessive hair loss, go slow. Gradually add, eliminate or substitute the products as opposed to a dramatic change in eating habits. Midseason hair loss is not uncommon. It usually sheds during winter-spring, summer-fall transitions. Good news is that it’s a temporary situation. There’s a limit to how much your hair can bear. So, you may want to take it easy on using that curling iron or a hair straightener on a daily basis. Hair thinning is a normal part of the aging process. Though, as a rule, significant hair loss can be observed pre- or during menopause. Weight loss experiments are among most common possible reasons for hair loss. Your body interprets drastic weight loss as another stress factor. In order to avoid hair loss when losing weight don’t forget about all the important nutrients. Adverse effects of certain medication may include hair loss. So, you may want to consult with your doctor about adjusting your treatment—substituting the meds in question or eliminating them altogether. The diet that lacks in vital nutrients, minerals and vitamins (like iron, protein, vitamin D, B6 and B12, magnesium) can for sure be the reason of a prominent hair loss. If it’s the case, look into changing your nutrition. Based on your lab results ask your doctor for advice about healthy eating. If you’re a smoker your risks of having hair issues go up. Other factors that can affect your hair health are the use of the beauty products that contain sodium lauryl sulfate or synthetic fragrance. Even if it’s not a prime reason, changing certain habits can help you gradually reverse hair loss. Ask around, because if you have family history of hair loss, there’s a chance you may have this problem as well. Usually this gene activates in the late 50s or 60s. Want to know what happens?—When we lose a hair follicle it’s instantly replaced by a hair of the same size. But when hair loss is hereditary, the new hair is very thin. Later on, the follicles start to shrink and at some point stop growing at all. Focus on the products rich in the following vitamins and minerals that have undeniable benefits for hair health and can help stop or prevent your hair from falling. The shaft of your hair is made of a protein called keratin. Eating protein is the key to a glowing hair as well as to strong hair follicles. High-Protein foods: beef, salmon, poultry, legumes, lentils, tofu, kale, dairy, egg yolks. Our hair and iron form a strong bond. To know if this bond is shaking ask your doctor to measure your iron and ferritin levels. Ferritin is a protein that helps your body digest and store iron. 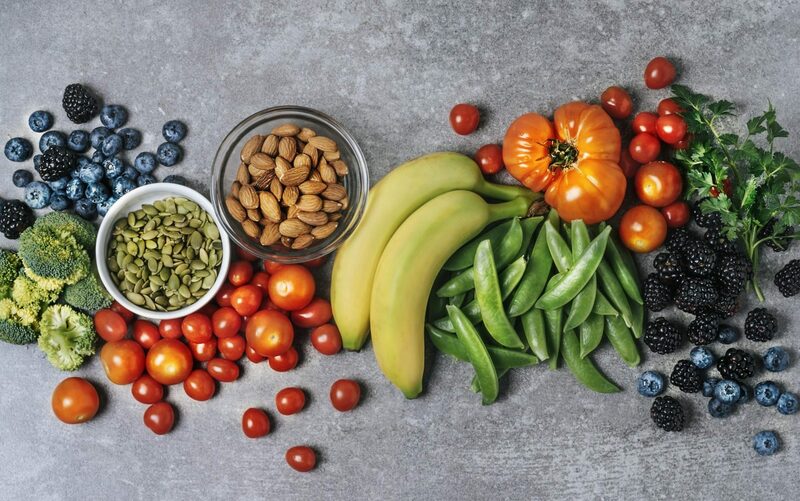 Iron-rich foods: beef or chicken liver, seafood (especially: salmon, oysters, clams, sardines, mussels, halibut), turkey, tofu, unprocessed cereal, pumpkin, dried fruit (raisins, dried apricots, prunes), beans, chickpeas, lentils, baked potato, sesame. B vitamins (especially B6, B1, B5, B3, biotin and B12) are like bread and butter for your hair. They are crucial for metabolism of fatty acids that are primarily responsible for the growth of your follicles. Essential Vitamin B foods: meat, whole grains, avocado, beef and poultry liver, whole grains, eggs, legumes, leafy greens. Products that are rich in Omega-3 fatty acids have the power to enhance your immune system, tune down inflammatory processes and help with hair loss troubles. It nourishes your follicles, inside and out. Foods packed with Omega-3: seafood (caviar, salmon, mackerel, herring, cod, tuna, oysters, sardines, anchovies), walnuts, kale, flaxseed, chia seeds. Until recently vitamin D has been underestimated and only associated with bone and joint health. Its deficiency, however, is now linked to severe hair loss. If you suffer from a chronic vitamin D deficiency, just adding relevant foods to your diet may not be enough and you would need to take supplements. Richest Vitamin D foods: eggs, oysters, shrimp, salmon, tuna, sardines, herring, beef and cod liver, mushrooms, oatmeal and cereal, dairy and soy milk. When hair follicles get clogged with dandruff or dead skin residuals, magnesium is there to unclog them as well as to nourish the scalp. Thus, follicle revival promotes hair growth. Foods highest in Magnesium: avocados, cashes, Brazil nuts, almonds, tofu, dark chocolate, pumpkin seeds, legumes, flax and chia seeds, quinoa, buckwheat, oats, barley. As you can see, common causes of hair loss in both females and males are plentiful. And only a doctor can figure out what really causes your hair to fall out after running some tests and understanding your situation better.